Long before the economic crisis gave people more time to reflect on their lives and contemplate their faiths, newer religions had begun to gain followers. A departure from classic Lutheran, Orthodox and Catholic Christianity, the Baltic’s are seeing a steady rise in (other) religions such as the Latter Day Saint movement (Mormon), Islam, Hindu, Buddhism and pagan revivals. While it may be the youth that typically delve into alternative/Eastern religions, it does not explain the decline in the top three religions in the Baltic States (Lutheranism, Catholicism and Orthodox). An interesting point was brought up by Mufti Jakubauskas, a Muslim leader in Lithuania, that perhaps the number of members are declining due to the number of people also leaving the country to seek work abroad. Also it should be noted that calling this decline in religion recent is somewhat of a misnomer. The percentages for the top religions in the region were not high to begin with. 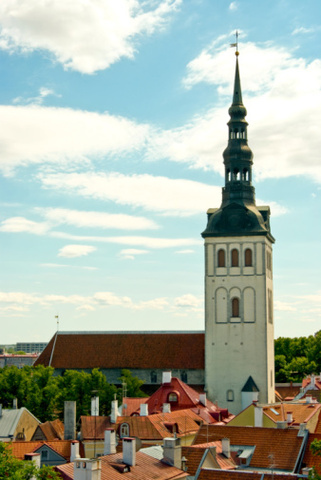 According to the CIA World Factbook, Lutherans make up 19.6 percent, and Orthodox 15.3 percent of religious followers in Latvia, while 63.7 percent are ‘unspecified’. These statistics are down from 1935, when there was a recorded 55. 2 percent of the population listed as Lutheran, 24.5 percent as Catholic and nine percent as Orthodox.